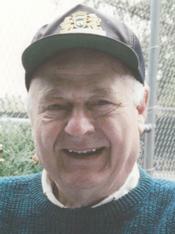 ELMER S. KADAR, age 85. Beloved brother of Richard P. (Joan); dear son of the late Stephen and Ethel; dear uncle of Mark (Barbara), Kristine (Jules) Grush, Karl (Mandvir) and the late Stephanie; great-uncle of Tessa, Griffin, Erik, Isabel, and Alexandra Amin; nephew of Olga Carson and the late Julia Kras. Funeral Service 12 NOON SATURDAY, at BODNAR-MAHONEY FUNERAL HOME, 3929 LORAIN AVE, CLEVELAND where friends may call from 10 AM- 12PM. Interment West Park Cemetery. Rest in peace Mr. Kadar from your old Esther Ave. neighbor.